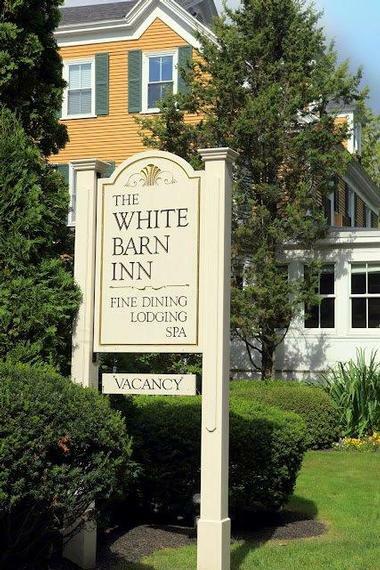 Located in Kennebunk Beach, Maine, The White Barn Inn & Spa is a beautiful historic hotel with a AAA Five Diamond, Forbes 5 Star fine dining restaurant. 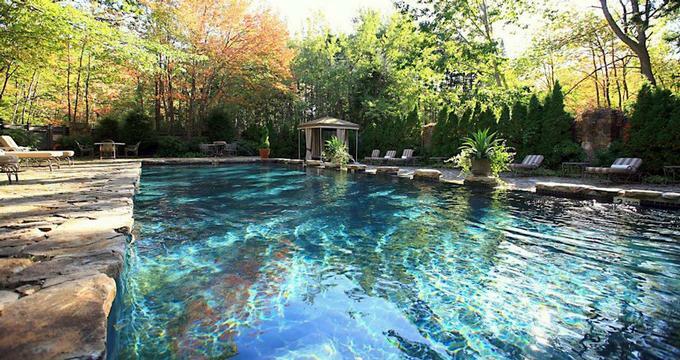 The property is a perfect weekend getaway for couples looking to relax and rejuvenate in a luxury setting. The White Barn Inn has a large selection of accommodations to choose from, ranging from the charming Junior Cottages to the spacious Loft Suite. The Main House contains the Junior Suites, the Queen Suites, and the luxury Loft Suite. The Junior Suites feature modern décor including a gas-burning fireplace, granite and marble bathroom fixtures, a Jacuzzi tub, and a walk-in rain shower. Each room has a king-sized bed and 420 square feet of room. The three Queen Rooms, the Deluxe, the Superior and the Bedded contain a down-topped queen-sized bed and private bathrooms with walk-in rain showers. The Queen Deluxe is perfect for a honeymoon as it has a Jacuzzi tub for two and a double-sided gas fireplace. Through the garden, guests can access Garden rooms, each featuring a large window view of the surrounding forest. With 250 square feet of space, walk-in rain showers, and gas-burning fireplaces, each room is a cozy escape in itself. 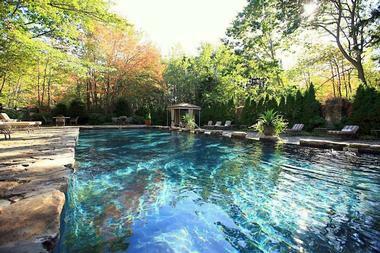 May's Cottage is also located across from the Main House, conveniently close to the pool. With a king-sized bed, separate parlor area, fireplace, and Jacuzzi for two, this is also an ideal selection for a couples’ getaway, either for honeymooners or to celebrate an anniversary. The former carriage house, which is now called May's Annex, contains six Junior suites. These measure 420 square feet in size and feature granite and marble bathrooms with a Jacuzzi, king-sized beds, fireplace, and separate walk-in rain showers. Each room has a unique color palette. Guests can choose from blue, aubergine, red, green lilac or chestnut. The White Barn Inn Restaurant is an award-winning eatery comprised of two restored barns for a truly unique dining experience. The restaurant has been awarded the AAA Five Diamond rating and named as one of the Forbes 5 Star restaurants. 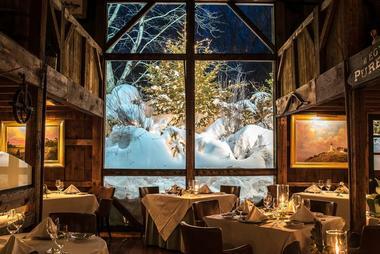 The inn has a rustic ambience, and guests can enjoy the spectacular natural surroundings through the large windows. The white linen décor is the perfect way to dine in style, with regional selections on the menu capturing the flavors of the state. 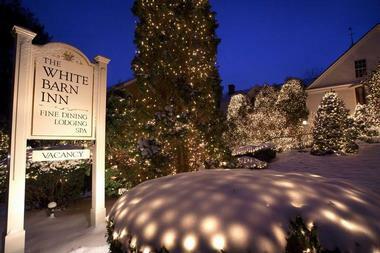 The White Barn Inn Restaurant offers a four-course fixed price meal at $109 per person. Picnic baskets are available for guests to take along with them, for an outing on the beach in the summer, or a stroll through the gardens. Select meal items are packed in a charming wicker basket that guests can keep. Also available are private cooking classes, special holiday meals, and the location is now part of the Truffle Trail, which allows guests to enjoy Truffle-based delectables from the Mayflower Grace to the Vanderbilt Grace, another uniquely magical experience. For a more relaxed atmosphere, The Bistro offers a casual dress code, a simpler yet flavorful menu, and is open seven days a week. The Bistro dinner series is an event which is hosted by the inn. Local breweries and wineries are invited to present a selection of crafted beverages which the in-house staff pairs with a complimenting dinner entree. With a choice of body wraps, facials, massage treatments, and the popular couples massage, guests can revitalize or relax as they choose. A Spa Director is present to guide guests through the spa experience. Guests are given a Personal Care Guide to help discover which option would best fit their needs. In addition to the spa, the property offers a variety of fitness options. Private personal training sessions are available every Saturday. Guests even have the option to choose between scheduling the session at the fitness studio or on the beach during the warmer season. 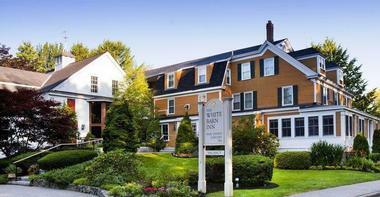 The White Barn Inn features a cozy private location which is perfect for a Kennebunk Port destination wedding. Between the months of January and May, the private dining room can seat up to 35 guests. The Wine Room is available year-round and can seat up to 15 guests for an intimate gathering. Special menus can be prepared with the help of the event planning teams available at White Barn Inn. For corporate events, there is an on-site event planner, furnished meeting spaces with equipment, block rates for rooms, and an a la carte option. Wi-Fi and parking are included with the stay and the entire property can be reserved for special events with advance notice. Guests get the chance to learn how to cook their favorite dishes as the in-house chef demonstrates how to prepare them. This two-hour cooking class allows guests to take part in the preparation of the evening meal. Those who take part can choose which area they are most interested in learning, and everyone gets a free apron to take home afterward. Summertime is a perfect time for guests to take in a glorious sunrise. The White Barn Inn prepares guests for just such an outing with a reserved picnic basket with coffee and breakfast items. Guests can schedule in advance and the hotel will notify them of sunrise times for convenience in preparation. The area around the inn offers an abundance of activities for those eager to get out of doors. Along with the nearby beach, guests can go for a walk, a bicycle ride, or a trip in the canoe. The property consists of 66 picturesque acres, including gardens and outdoor chapels. In early summer, guests can enjoy fine wine and dining during the Annual Food, Wine & Art Festival. Local seafood and vegetables, roasted meats, dancing, and cocktails are all available. The chef prepares the meals and recommends the perfect wine pairing to go along with the dining experience. The Maine Maritime Museum allows guests to experience a glimpse into the state's past. The location has school programs, boat cruises, and special guest lectures. There is a large selection of art galleries in the area, including Scott Bundy Galleries, Chris Becker Gallery, Mast Cove Gallery, and the Gallery on Chase Hill. Guests can make a night of gallery hopping and take in the offerings of some of the region's premiere up and coming artists. One of the most popular outings is whale watching. Guests can reserve a spot on the 4 ½ hour Whale Watch adventure aboard Nick's Chance to observe a variety of whale species which frequent this area. A 1.5 hour trip aboard Kylie's Chance is also available for a Lobster Tour along the Kennebunk River and coastline. Room rates from $275 include continental breakfast, daily afternoon tea, bicycles and canoes. During the off-season, rates get reduced. Find more great Luxury Weekend Getaways for Couples.